Small hidden GPS tracker for car is most commonly used for criminal investigators but the devices can also be used by your ex or partner that is doubtful about you. They could purchase cheap GPS trackers and then install it in your car. However, even the tracker is very small, you can find it by searching thoroughly. Find some tips below to get the hidden tracker stick in your car. You can start searching the tracker from the exterior of your car. Some steps below may not make you miss any part of the car exterior. – Get a flashlight and also owner’s manual of the car. If the installer choose a cheapest tracker, then it must be a magnetic box that is fairly large. However, the devices are not all observable. Some types of GPS trackers are only in the form of wire sign that is out of place. You may need an owner’s manual to prevent pulling out the vital part of the car, unless you have been so familiar with all parts of the car. – Examine the underside area. It is also important to do; checking the underside area of the car. Go under the car by getting on your back and then search the tracker by using the flashlight. Due to small hidden GPS tracker for car mostly works with the satellites connections. It will not work well if the tracker is located deep inside the underside area of the car. The bold metal of the car base will block the connection. So, you should focus on the underside’s perimeter. Search for taped on objects, suspicious boxes, and also antennas. – Give some light tug if you find something odd. Because of the magnetic materials, the trackers are commonly detachable easily. – Examine the gas tank of the car first. The gas tank commonly has large metal surface that becomes a great spot to attach the tracker with magnetic characteristic. – Checking the wheel too. Examine the area under the plastic guard of every wheel too, especially if the guard looks bent or loose. In this area, the small hidden GPS tracker for car could be very observable because of the weird box in the area. If you think that someone has accessed your vehicle extendedly, you may need to check the area behind the tires too. Yet, this location is not very likely for the trackers. If you check this area, examine the area behind the brakes that have wired sensor. The tracker is theoretically to be in that location. – Examine the area inside the bumpers. 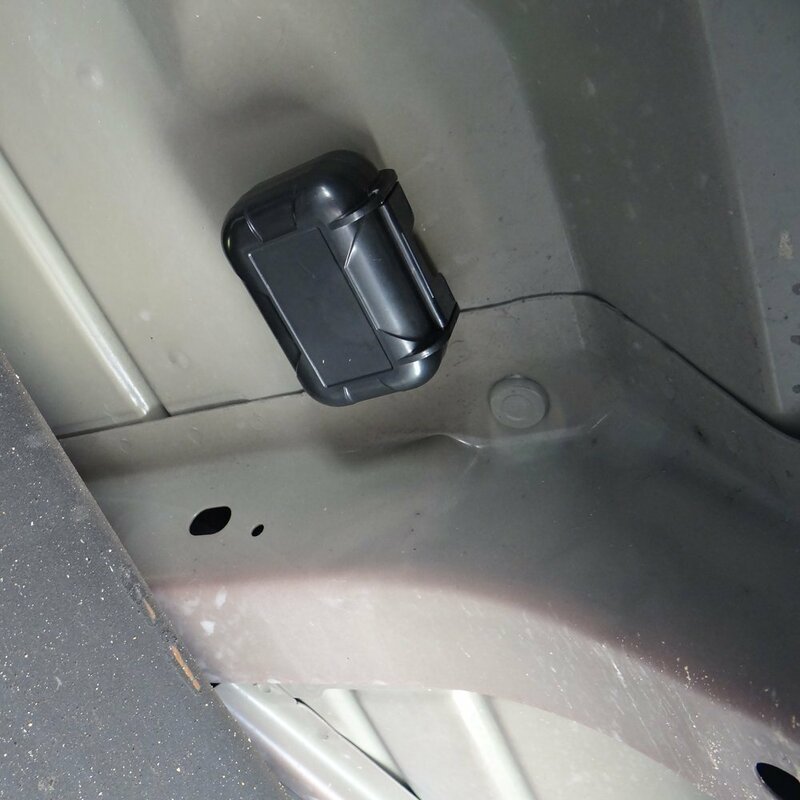 Bumpers are also the most common exterior spots used to hide a small hidden GPS tracker for car. Examine the area behind the front and rear bumpers because anywhere on the areas are commonly used to slip the device. If the device is placed behind the front bumper, it is commonly wired to the electrical system of the car. Before you remove any wiring, you should read the manual in order to prevent any damage. – Checking the roof area. If the installer place the GPS tracker on the roof area, there are two possible places for the device to hide. First, on the sunroof that can hide the tracker inside the withdrawal slot. Second, on the roof of taller vehicles like SUV so that the device is not visible in plain sight. – Check the Machine Cover. Actually, this location is terrible for the tracker place. The area is a solid metal box that is always hot when the machine is running. Besides, the driver always check the cover regularly. However, locating the small hidden GPS tracker for car in this location is not impossible. Scan this location quickly and then you can continue to the interior. If you find wires that are out of place from the car battery, it may be the tracking device. Examine the wires by comparing to the diagrams inside the manual before you conclude that it is a GPS tracker. The car interior is also the most possible location to hide a small GPS tracker. There are some great locations to place the device so that all people don’t realize it. – Check the area inside the upholstery. If the headrests and seat cushions are featured by zippers, then unzip them to see area inside. Besides, you also should check other area such as under the removable parts. – Check the area beneath the carpet and seats. Use your flashlight to shine the area underside the seats. Remember that some cars some with built-in heating mechanism under the seats. Compare the mechanism with another seat to see some anomalies for the small hidden GPS tracker for car. – Examine the area under the dashboard. In most models of cars, the glovebox compartment and also the panel under the steering wheel can be unscrewed easily. Examine whether there is a loose wire that isn’t tied or taped to the other wires. Try to hint it back to the source. Feel the area underside the dashboard by running your finger on it. Feel whether there is an antenna that is taped or glued on the area. – Look at the back area of the interior. Keep in mind that most GPS tracking device can’t work well for metal blocking. So you should check the areas under the rear window first and then examine the metal trunks. Check the well under the back area by removing the spare tire first. On the other hand, you can also sweep your car electronically. You can use a handheld detector to find the device that transmits your location actively. The test may need to do while the car is moving, so you need a helper to drive the car while you do the test to find the small hidden GPS tracker for car. Still puzzled to find a great device for your car? As a suggestion, we show a list of devices that maybe suitable for your car below. – NEW VERSION GL300 W Mini Portable Real Time GPS Tracker. Vehicle / Personal / Asset Tracking. Americaloc tracking. Don’t just rely on a device like this. Because such a devices are just tools, it’s good to always look at the situation around the car while it is parked.